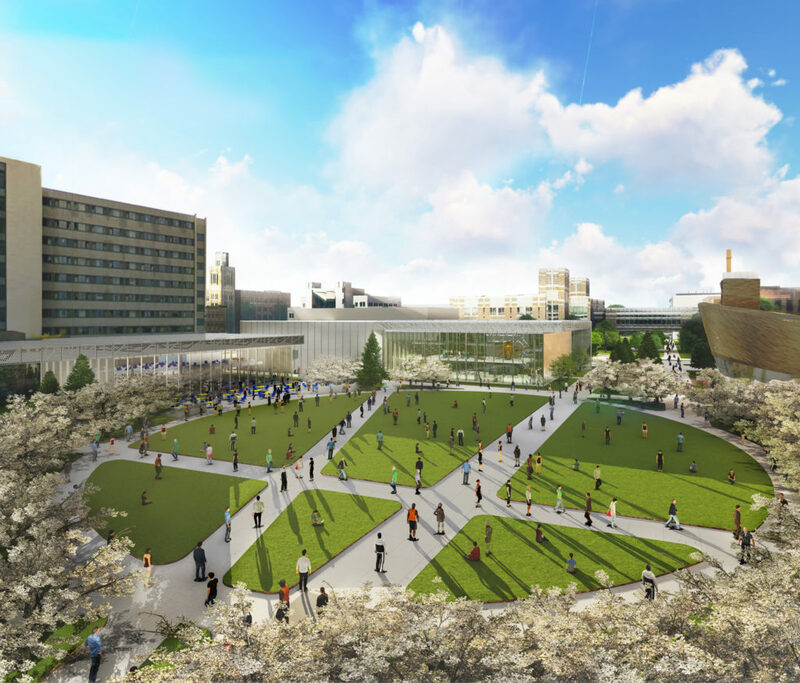 The university has begun construction on North Common, a 100,000-square-foot outdoor gathering, reflection, prayer and play space in the area bordered by the Alumni Memorial Union, Schroeder Hall and the Dr. E.J. O’Brien Jesuit Residence. North Common, which was first outlined in the Campus Master Plan, was planned as the final construction phase of the Jesuit Residence project. Highlighted by a 25,000-square-foot circular lawn surrounded by a grove of flowering trees, North Common will be a gathering place where academic and student life merge and build community, according to Lora Strigens, vice president for planning and strategy. In addition to a grove of more than 70 trees, the space will feature benches and other landscaping elements to encourage gathering and reflection. As part of the project, the open lawn at the southeast end of the AMU on which the old Jesuit Residence stood will offer an ample playing surface to replace the one lost to the Athletic and Human Performance Research Center and future Lot F relocation to the north of Abbotsford Hall. 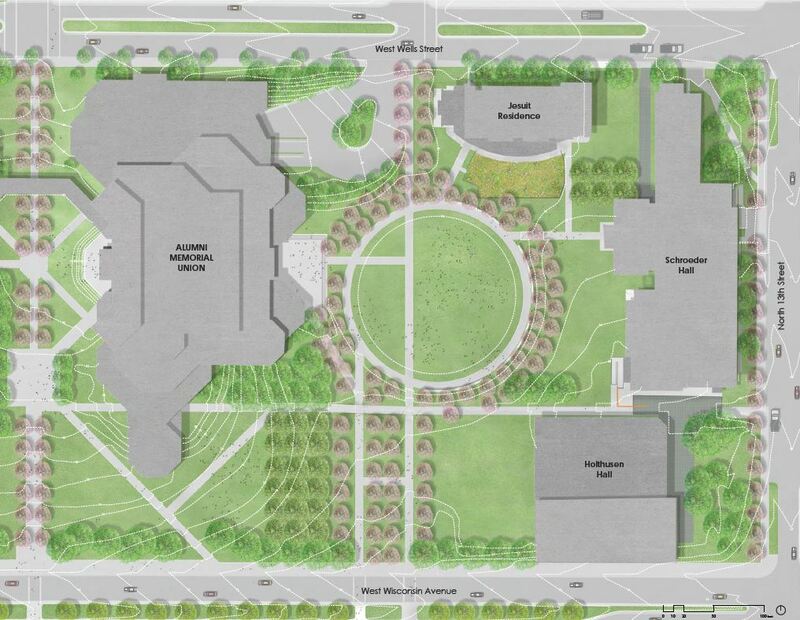 North Common is expected to be complete by the start of the fall semester.